Your action. Your videos. Fastcut automatically edits your clips to the beat of the music – for free. Customize the program to your needs and experience the simplicity of video editing! 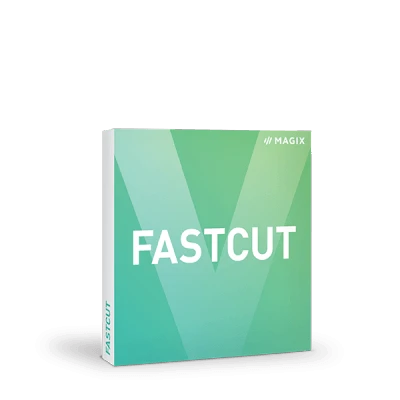 Starting now, you can customize Fastcut to your needs. Individual features for video editing are now available in the In-App Store. So you can expand the exact features that you really need. There, the functions Set Highlights, HEVC and MPEG2-Import from the full version Fastcut Plus are available. Your recordings. Your style. Your music. Browse over 200 songs from diverse genres and find the right song to fit your style. 9 soundtracks are already available in the software. You can expand on this and build your own individual music library. Wait for it: Slow start with an ultimate twist. Rhythmic sounds with a classic Havana beat. Exciting competition atmosphere for maximum action. The optimized workflow in Fastcut helps you to work even more efficiently. Now, you can organize your media by photos and videos. Additionally, all content in the media library can be selected and deselected at once. This makes video editing with Fastcut even faster. A user interface is the key to effortless video editing. And that's exactly why the user interface in Fastcut was optimized even further. Explore the improved design for yourself and experience the simplicity of video editing! Preview your footage before importing it: Thanks to the practical Mouse-over feature, you can see a thumbnail preview when you move the mouse over a desired clip. So you have the optimal overview right from the start! Do you have loads of footage or recordings which are upside down? 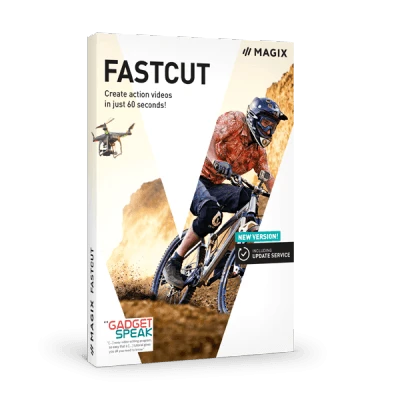 With Fastcut, you can easily trim and rotate your videos. Share your adventures with others in crystal-clear quality and export your finished video in Full HD.